This former woollen mill from 1941 has been converted into a museum for contemporary art. 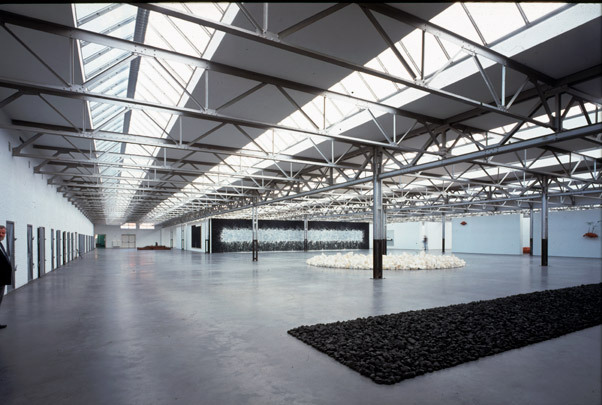 Most of the old premises (the exposed steel truss construction and rooflights, the introverted walls, the typical steel doors of the woolsheds) has been left intact. Supplementary facilities such as the entrance, toilets, bookstore, restaurant and a number of small galleries assemble in an oblong brick block standing away from the main building and designed separately. The housing around the museum is by Benthem Crouwel, Neutelings Riedijk, Arets and Uytenhaak.